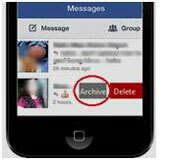 Here we introduce some methods to recover deleted Facebook Messenger messages. Losing Facebook messages could be happened on any device or due to any reason. But the important fact is that retrieving them isn’t impossible. Each day, many people use Facebook messenger to connect to their friends, family and business associates. 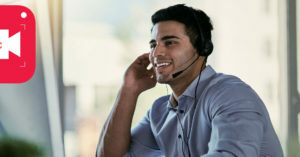 It provides easy connectivity and fast communication. So after losing some of these Facebook Messages a lot of people might feel frustrated since they don’t know how – if any – to retrieve these important work conversations or memorable messages with their loved ones. But the good news is that no matter the device’s brand or model or operating system, there’s a high chance that these messages could be recovered and accessed again. 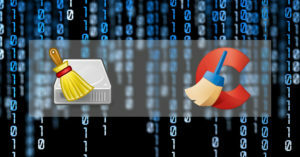 Depending on the operating system, iOS or Android, there are different techniques for undeleting lost messages. Using a powerful recovery software is required to retrieve Facebook messages. That’s because there is no option in Facebook Messenger to recover deleted messages. 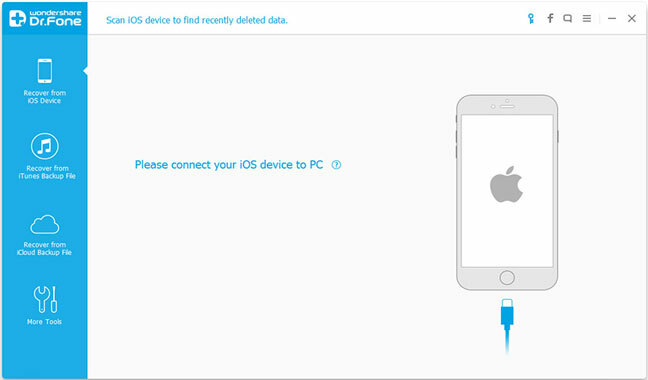 As a helpful iOS recovery program, Wondershare Dr. Fone makes it possible to take back the data from iPhone or iPad. Launch the application: Users need to connect their iOS device to the computer and then scan the iPhone or iPad. Don’t worry if the screen turns black during the scan. It’s normal. After the scanning for data is done, the results will be shown on the screen. Select the data for recovery: the scan results include all sorts of data such as documents, reminders, contacts, call history, voicemail, photos, videos, and so on, each in their category and with the number of found items information. Just select the ones needed to be recovered. After that, click the button labeled ‘Recover’. But sometimes just the Facebook messages are archived. It means that they are hidden and users could not see them making them thinking that they have been deleted. In this case it’s possible to get access to them with no software. In the Facebook Messenger app there is a tab named ‘Messages’. There, a number of options will be shown after clicking on any message. Those include ‘delete’ or ‘archive’. In this case selecting the archive option will cause the message to be removed from the list. But it’s still there and could be accessed later. So keep in mind it doesn’t mean erasing at all, just archiving. So, in the case that some conversations and messages are archived, let’s find out how to recover them. Use the search feature and the contact’s name to find the archived messages. The ‘More’ options on ‘Messages’ tab includes an ‘Archived’ item. After accessing archived conversations, each of them could be taken back to the Messenger by selecting the ‘Unarchive’ option after clicking on the message. 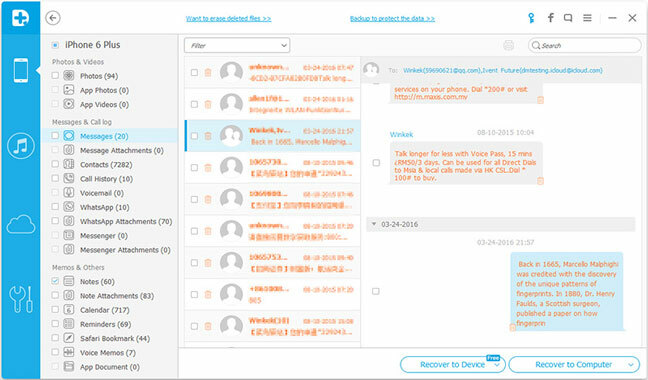 IMPORTANT NOTE: recently, a recovery product called “Paraben Phone Recovery Stick” has become very popular among those looking to restore their lost data. As the manufacturer claims, it is a USB flash drive which could help recover data – including text messages, photos, videos, etc. – from hundreds of cell phones and tablets. Please DON’T buy this product since we’ve found numerous unsatisfied users who bought this product online and even some bad reviews on Amazon. More on this product could be learned here. Make sure to have an app which allows exploring files and folders of the phone memory and SD card. These apps could be downloaded with an easy search online. After launching the Android explorer app, open the ‘Android’ folder from the SD card/device storage. Then open the ‘Data’ folder which contains different folders. These include installed apps files and data. Facebook Messenger data could be found under the ‘com.facebook.orca’ folder. Open it. Now follow this path: ‘Cache’ > ‘fb_temp’. Facebook messages and other backup files could be accessed here.